... is da bomb! I wasn't a fan of keyhole's app for a long time, but I have to eat my words now. 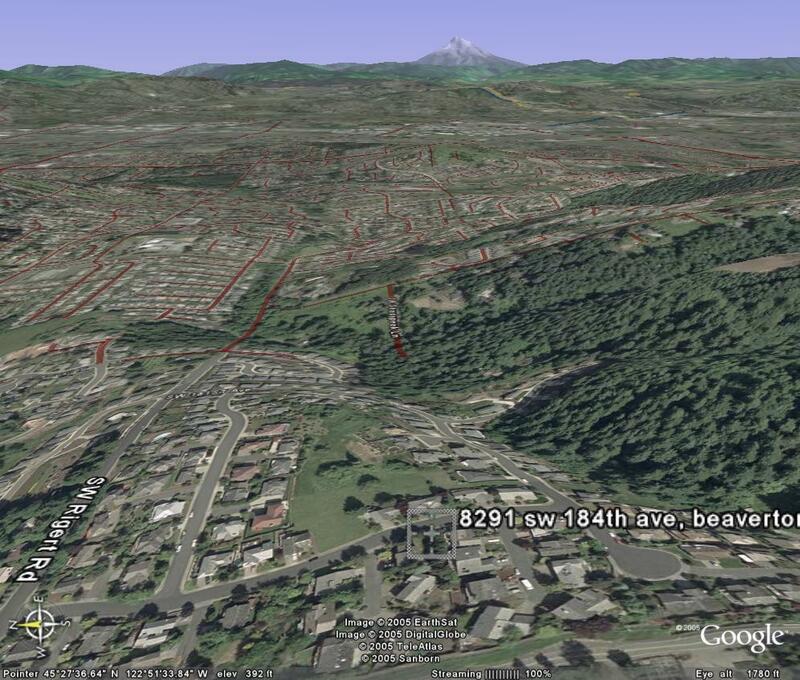 Google Earth totally Rocks the Christ Child. 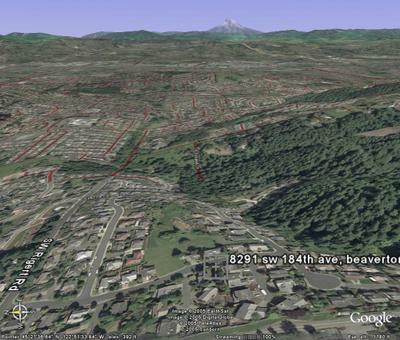 Here's my current house on Cooper mountain, and the view of Mt Hood from it. Surprisingly close to the real thing! My friend in Pittsburgh gets a polygon box for her house. I was so jealous.